Often times business owners find that for one reason or another they’ll need to explore obtaining equipment loan for small business needs. Whether your company is speeding right ahead, or needs a bit of this and that, equipment loans are a necessity in business. In this post we’ll explore 3 important steps to take as you contemplate and review funding. 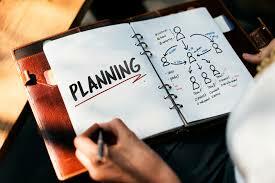 Long ago I discovered that there isn’t much that doesn’t fair better by having some type of plan before you begin a task. A growing option for small business is business based revenue loans . Capital funding may seem much more than a task, but if done correctly you’ll discover careful planning equates solution. An important starting point is to create a list of needs and solutions the new equipment will address. For example, I recently worked with a dentist who wanted to purchase new office equipment, specifically to design an extra room into an additional exam area. One issue prompting her exploring an equipment loan was the desire to add address the increasing appointments for general cleaning. Often full exam rooms were used for smaller and less needful care, causing delays in patient wait time. No matter what your specific need, ” A Need/Solution ” list will help you rationalize your desire to explore equipment loan for small business. Don’t skim when figuring the cost of your new equipment. More than likely you’re anticipating an increase in business , so you’ll want to keep that in mind as you explore your budget. Sure , there will be payouts at the beginning without immediate increased profits. However , equipment loan for small business often involve weighing out cost versus benefits. The catering trade is often a leader among equipment loan for small business recipients. Catering involves meeting client needs, and productive catering means efficiently and effectively delivering the best product. Often when a business becomes more widely known, there’s an increase in business flow, this often means that the three mixers are no longer meeting the needs of your company. Lawn service providers can often control the number of clients contracted, but soon customers are asking for additional services. Knowing how to perform specific task is difficult if you are without the right equipment. Be sure to shop around when creating your equipment inventory list. You’ll still want to get the best deals. Leasing equipment for your business often involves a down payment of some sort and a longevity of payments (weekly/monthly) over a specified time. Various small business owners may opt to lease for a number of reasons, such as : failure to obtain a business loan, insufficient capital, usually a result of short time in operation or slow-growth business flow. While a viable option, most small business with a sufficient revenue, and in business for 1 year or more, may fair better by obtaining capital funding. Capital funding is an excellent option for small business owners with a monthly revenue of $10,000 or more and in business for at least a year. Capital funding for equipment loan for small business can come quickly when meeting the criteria and often a low credit score won’t result in a denial. Certainly there are a stream of lenders who promise new and low revenue producing business the same opportunity as business with the aforementioned revenue however, there is usually words are more impressive than results. A possible alternative options for business that are closer to startup’ s is to opt for small personal-business loans, typically requires FICO score of 650. Equipment loan for small business exhibits a business that is growing and with the correct plan can result in an improved business revenue. Metallic Capital provides you with a quick and fast approval route for your equipment loan for small business needs. Simply complete our online business funding inquiry or call us at 312-878-6049, we have options for both Existing (1 yr, Revenue Based) and New Business opting for Personal-Business Funding , and programs to qualify you for a business loan even with bad credit.